The King Center of Atlanta unveiled a new website of never-seen-before archives of Martin Luther King Jr.’s speeches and correspondence. 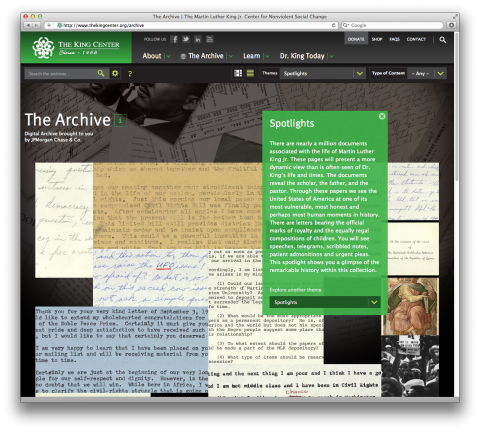 It is a beautifully designed site, featuring a treasure trove of historical American documents. This entry was posted in Civil Rights Movement and tagged archives, important historical documents, king center of atlanta, martin luther king jr. Bookmark the permalink.